Without Fear: Part 4 of 6 - Written by ED BRUBAKER Penciled by MICHAEL LARK Cover by MARKO DJURDJEVIC MATT AND FOGGY FIGHT TO SAVE MILLA'S LIFE IN COURT! 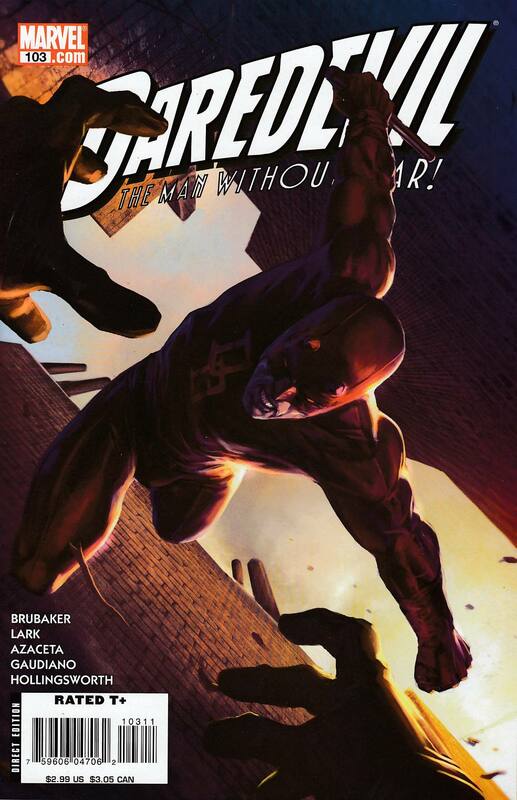 Meanwhile, Daredevil tears Hell's Kitchen apart searching for Mr. Fear, the only man who can stop his wife from going insane, while the Hood's minions fight Fear's people for control of the neighborhood. By Eisner-winning Best Writer Ed Brubaker with art by the acclaimed team of Michael Lark and Stefano Gaudiano.